Buy Fridani EB 180K short - mummy sleeping bag, 180x75/50, 1350g, -11°C (ext), +3°C (lim), +7°C (comf) from Fridani at Camping Outdoor online. 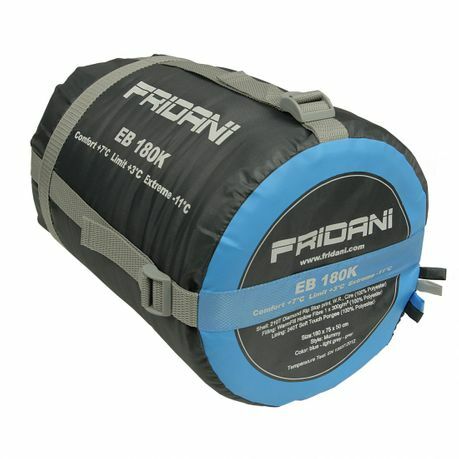 The Fridani EB 180K is an oval mummy style three-season sleeping bag with XL width. It is designed for use from spring to autumn. A hard-wearing yet soft-grip rip-stop polyester protects from the outside. Inside, a breathable and very skin-friendly soft-touch pongee material is used. The egg-shaped mummy sleeping bag offers a lot of freedom of movement as a children´s sleeping bag or for young people and smaller persons with 180 cm length, 75 cm shoulder width and 50 cm foot width. Packed in a transport bag, the sleeping bag measures Ø 22 x 40 cm and weighs 1350g. 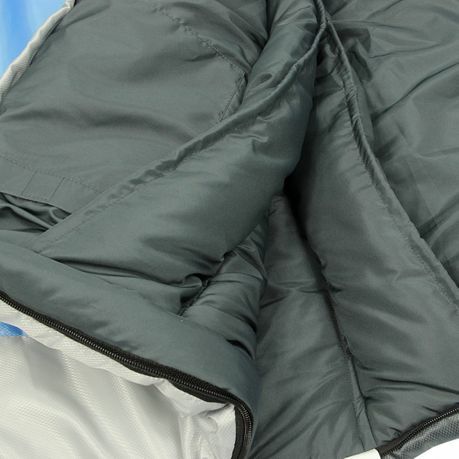 The XL mummy sleeping bag is equipped with an anatomically shaped contour hood, a warmth collar in the shoulder area and a zipper cover strip to prevent heat loss. In addition, the zipper is equipped with an anti-tension tape that prevents material from being trapped in the teeth of the zipper. With a total of 300g basis weight per square meter, the sleeping bag filling was processed in 2 layers of 150 g each. The layers were applied offset by 90° so that the synthetic hollow fibres cross each other and the heated air is optimally held in place. This method has been used on the front and back of the sleeping bag. The synthetic fibre filling is quick-drying, very good insulating and has a puffy loft. So even cooler nights turn into a feel-good experience with the best sleeping comfort. 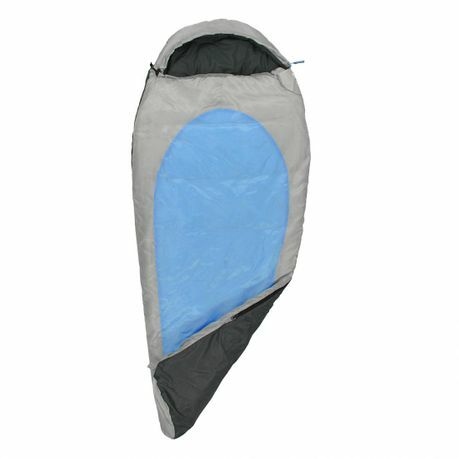 The sleeping bag is equally suitable for children, young people and small persons. It is used for camping, trekking, festivals, spending the night with friends or as a sleeping bag for hikers. The zipper with Easy Pull system lies better in the hand than normal zipper sliders and allows easy opening and closing of the sleeping bag. 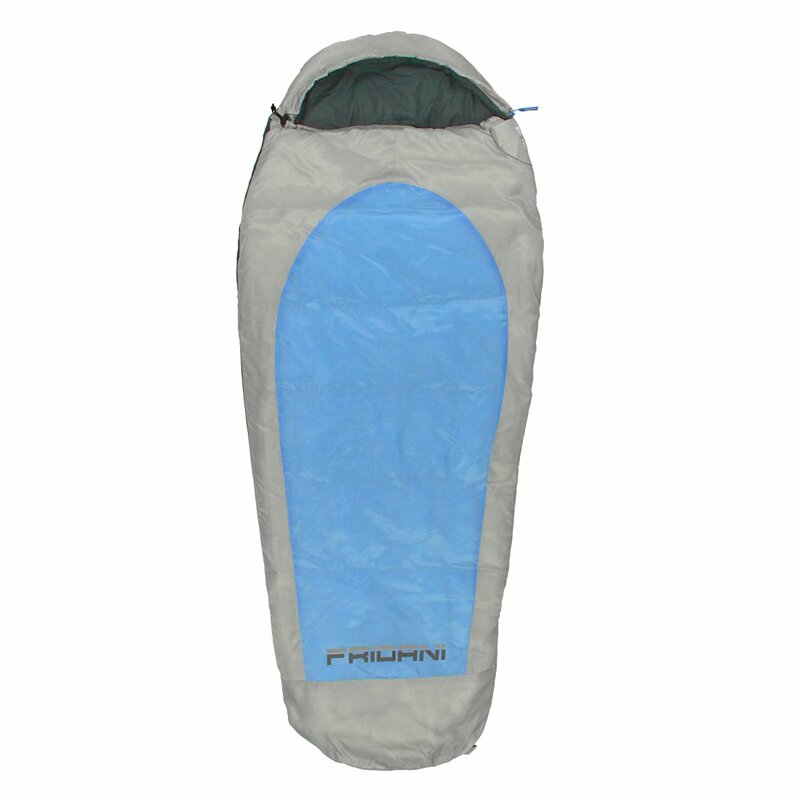 Fridani sleeping bags are equipped with an inner pocket for valuables.It also contains the sewn-in washing instructions. The heat collar in the shoulder / neck area prevents the warmed up air from escaping to the outside. The hood and the heat collar are each equipped with a drawstring. 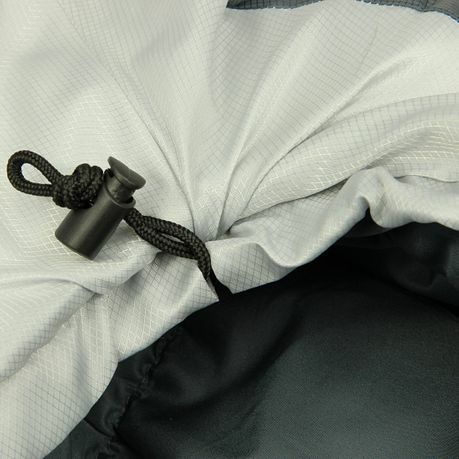 The drawstring allows the headrest and neck area of the sleeping bag to be placed close to the body to avoid heat loss. The outer cover is made of high-quality and hard-wearing rip-stop polyester and is soft to the touch. 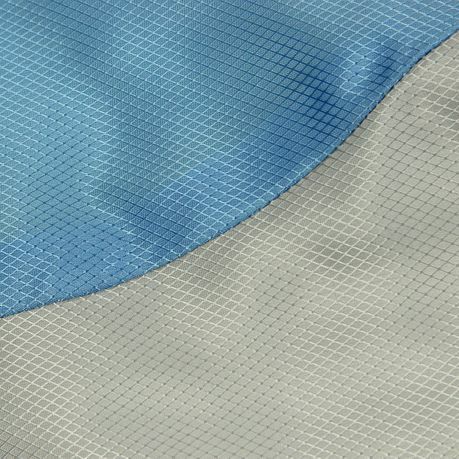 The rip-stop material has a structure of squares made from thicker warp and weft threads. In case of damage, they reduce the further tearing of the material. 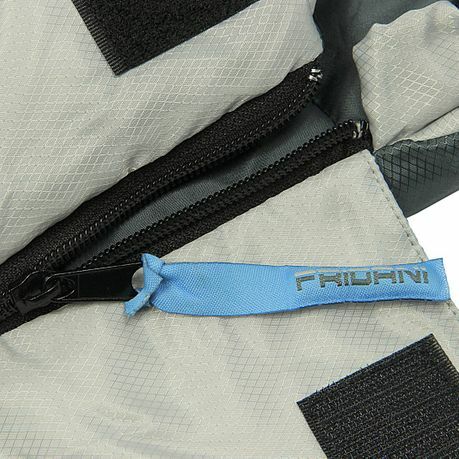 In order to prevent heat loss via the zipper, it is provided with an internal filled cover strip. This covers the zipper when closed and prevents warm air from escaping. In order to ensure that no fabric gets caught in the zipper when closing or opening the sleeping bag, an anti-clamp tape has been sewn in to prevent this. 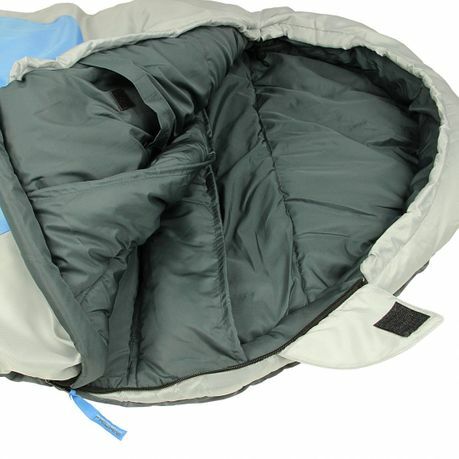 The sleeping bag is equipped with a 2-way zipper which allows you to open the sleeping bag only at the bottom. Very useful when it gets too warm on your feet or when you have stowed clothes and other things in the foot end. When closed, the zipper is secured against unintentional opening during the night by means of a Velcro fastener cover. 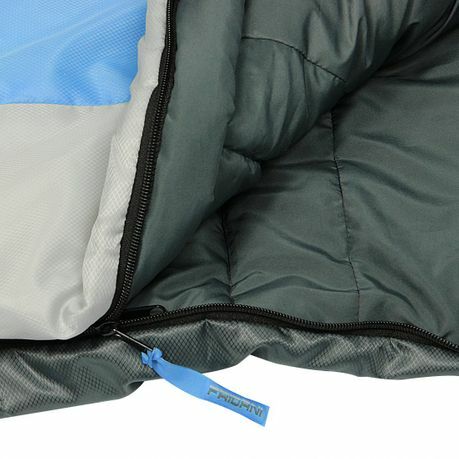 A dark grey rip-stop material has been used on the back of the sleeping bag. This colouring makes small dirt almost invisible. 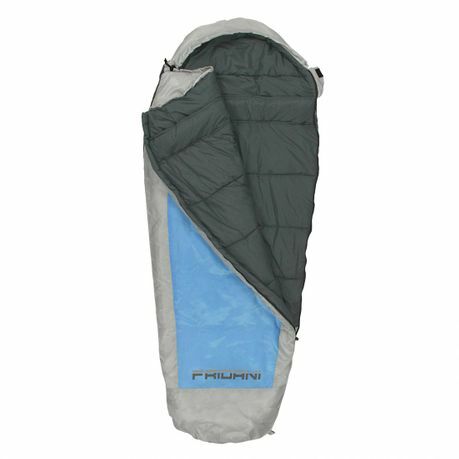 The sleeping bag can also be used as a bedding on a chair, on the lawn or at a cosy campfire with friends or family. The packing bag is equipped with four compression straps.These straps can be used to reduce the volume of the sleeping bag to a minimum. 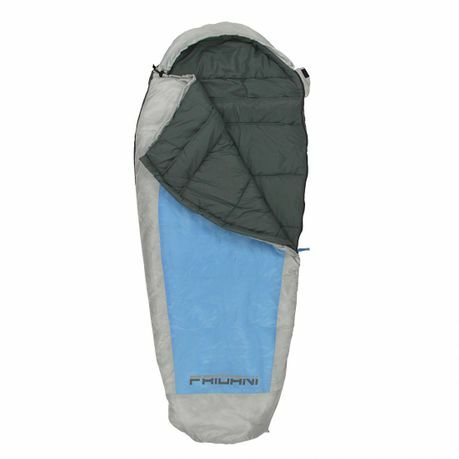 Note: Sleeping bags are always ´´stuffed´´ into the transport bag beginning with the footrest! Never roll in, as otherwise the filling will always be pressed in at the same places and may cause damage. A sleeping bag for spring to autumn in a beautiful, fresh design that inspires you, protects you well in your sleep and warms you very well. Packed small, he goes with children on holiday to camping.